According to PhoneScoop the FCC finally approved the NX9200 cellphone, the U.S. version of Casio’s popular G’zOne. The handset, which takes both styling and engineering cues from Casio’s G-Shock watch line, sports a Verizon logo in FCC documents. WWJ covered the launch here in May 2005 and said at the time “This could be a design winner [.jpg] should it land on US shores in time for the Christmas shopping rush.” Looks more like “almost in time for spring-break in Florida” instead! 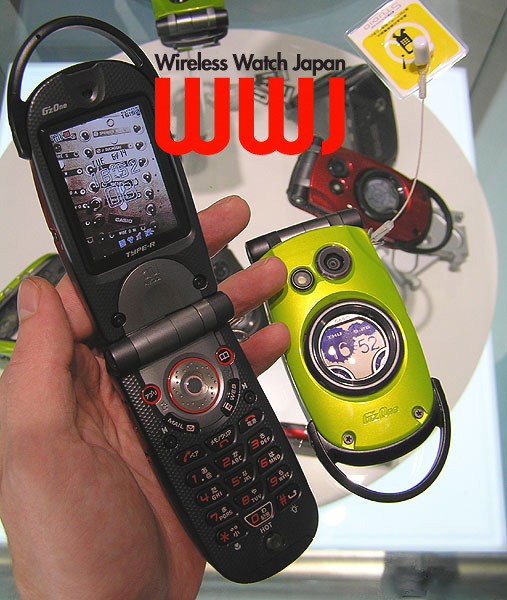 The Japanese G’zOne was designed to be a water-and-shock resistant clamshell CDMA phone with a 1.3 megapixel camera, music player, and digital compass. The U.S. version adds EV-DO high-speed data and a stub antenna. The company brought the G’zOne to Korea in December 2005, around the same time reports surfaced of the company trying to enter the U.S. market. previous post: Yozan Expanding Tokyo WiMAX :: next post: Guinness Book of Records for i-mode?